After twenty-five years, when this thought came to the King to restore to France the remains of Napoleon who died on Saint-Helena, God gave him one of those inspirations which spoke sympathetically the heart of the people. To Louis-Philippe thus belongs the honor of having returned to the country the remains of the great man who so gloriously presided over its destinies. “Gentlemen, the King commanded His Royal Highness the Prince of Joinville, his son, to go with his frigate to the island of Saint-Helena, to collect the remains of the Emperor Napoleon. The Commander in charge of the precious deposit is to present them, on its return to the mouth of the Seine, to another boat to bring it back to Paris. 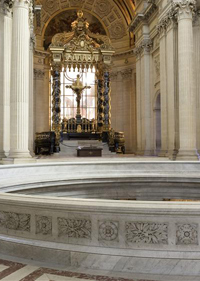 Napoleon’s ashes will be placed in the Invalides. A formal ceremony, with great religious and military pomp will open the tomb, which must be kept forever. It is indeed important, gentlemen, to the majesty to such a memory, that the buried august does not remain exposed in a public square in the middle of a noisy and distracting crowd. It should be placed in a place sacred and silent, which can be visited with reverence by all those who respect its glory and genius, its greatness and misfortune. Napoleon was Emperor and King. He was the legitimate ruler of our country. In these capacities, he could be buried in Saint-Denis; but Napoleon will not be buried as any ordinary king: he must reign and control again in the forum where the soldiers of the fatherland rest; where he will always inspire those who are called to defend it. His sword will be placed on his grave. 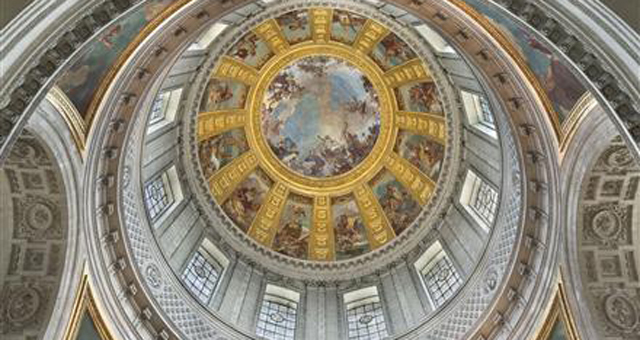 The art raised under the dome in the middle of the temple consecrated by the religion of the gods of war, will be a worthy tomb, perhaps with the name to be engraved. The monument should have a simple beauty, a grand form, and with a solid aspect that seems unshakable to defy the passage of time. It is a monument to Napoleon as his lasting memory. We do not doubt gentlemen that the Board of Deputies joined with a patriotic emotion of the Royal idea will be justly expressed. Now France, France alone, will possess all that remains of Napoleon: the tomb, like his reputation, does not belong to anyone but his country. We know with what enthusiasm these beautiful words were welcomed by all of France. The government prepared on the spot for the trip, and after July 7, the frigate Belle-Poule sailed from Toulon, the corvette La Favorite, commanded by M. Guyet, accompanied it. On board the Belle-Poule, with the Prince of Joinville, sailed Captain Hernoux, his aide-de-camp; Touchard, ensign, his officier d’ordonnance; Count Rohan-Chabot, Commissioner of the King; Baron de Las-Cases, member of the Chamber of Deputies; General Gourgaud, aide-de-camp to the King; General Bertrand; the Abbot Coquereau, chaplain of the expedition; and the four former servants of Napoleon; Saint-Denis and Noverraz, chamber valets; Pierron, cook; and Archambauld, picket. On Thursday, October 8, the day of arrival of the expedition to Saint-Helena, at six o’clock in the evening MM. de Chabot and Las-Cases landed. This memory of the scorched places where they had been twenty-five years ago, which they had spent near Napoleon, was still young, and would never fade from their minds. Too soon the night interrupted their pious pilgrimage, and they had to return to board, to their great regret. The next day the 9th, some officers of the two ships landed early at the place of the Emperor’s exile. After having only gone five hundred steps along a trail carved in the rock, they crossed a narrow gated drawbridge, flanked by hand-rails; then after less than two hundred steps, they arrived at the gate of James Town, the capital and only town of the island, containing the bulk of its population, which only amounted to about 1,600 souls; the garrison forming a third; the settlers three-sixths; and slaves or Chinese workers, the remaining sixth. The settlers were mostly former minor employees of the East India Company, retired civil service or military. The stores were almost all Jewish. The two huge black and arid rocks that hugged James Town are 55 feet high, and are crowned by batteries. The rock on the right, Ladder Hill, the montagne de l’Echelle, is named in that the slope that descends from the fort to the city, is so steep one could use it only by a wooden staircase forming a true ladder. The left rock, Munden’s Hill, the montagne de Munden, has a less difficult access. One recounts that Admiral Richard Munden, approaching the coast under cover of night, slid down it from the rigging used by his sailors, who took the island from Holland. This is an unlikely fact; as the foot of the rock shows debarkation, impractical due to continuous crashing waves. The city runs from north to south. While casting one’s eyes to the harbor, we first see clumps of trees that seem to grow out of the sea and under the coastal battery that closes the gorge. Behind a little amphitheater, runs the length of the main street, or rather the only street of the village; behind again, much farther and higher, stands the white house, Alarm House, all surrounded by pine trees. Our officers, entered the city, crossed the parade square, which was 170 feet long by 160 wide. At the left is the governmental palace and garden of the company; at the right, the church and administration; following the garden of the company, is a house of modest appearance at the corner of the street: it is the one the Emperor occupied the only night he spent at James Town. Having arrived in the harbor October 15, 1815, at noon, landed on the 17th, at 6 thirty in the evening, he left the next day the 18th, at five o’clock in the morning, before daybreak. He was not returned to these places. Our officers bowed respectfully before these painful memories. Halfway to Longwood, one was greeted by Hut’s Gate, this small house of three or four parts, where General Bertrand had spent several months with his family awaiting the preparation of a home for him near the Emperor. These mountains, with arid sides, the peaks crowned with clouds, offered a frightening contrast with the sinuous valleys with streams that were alive with vegetation. Some green points mark their source among the rocks. In these oases and along the valleys, arise pretty white houses with green shutters, covered with tiles or slates. Their charming construction is reminiscent of those small painted wooden houses that are sold in toy stores for the amusement of children. Where nature has created a breech in the mountains of the coast, the sea seems to be confused with the mists that cloud the horizon; and the vessels of the roads appear as fishing boats, through the misty curtain. After passing through a clump of trees looking as sad as the arid soil we travel on, we arrived at Longwood. It was on the night of 14 to 15 that this solemn operation was to take place. It was assumed that the work would be long and difficult, and that the mortal remains of the Emperor could be delivered the next day to the Prince de Joinville. Two large tents had been erected for service needs in a corner of the valley; one to be used by the body-guard of a strong detachment of the English 91st Line; in the other it was decided that the coffins would be opened. The Commissioner of the King had discussed all the details with the Governor. Their actions had been planned so that no obstacle seemed possible. The most comprehensive union existed between the officers of both nations. The Prince had published an agenda addressing the ceremony to be observed on the days of the 15th and 16th, which impacted those French who, coming from afar, saw only their senior officers being admitted to attend the exhumation and follow the imperial coffin in its last move on English soil. The British government, meanwhile, had just expanded its invitations. Only when the exhumation accomplished, was the entire island invited to join the funeral from the valley to the utmost extent that is to say to the landing port. If we had agreed that the French sailors should perform this work under the eyes of their officers, the Prince, presumably, would have led in person. But according to the steps taken by the government of the island, the exhumation was to be exclusively entrusted to English hands, therefore the Prince thought it proper to remain on board, where his own resignation had to more patiently endure the French sacrifice which they had been condemned to. His agenda was that he would descend to the head of the staffs of the three warships to get on the pier, from the hands of the English, the mortal remains of the Emperor, and he would guide himself the rudder of the boat where it would be placed. For two days the ebony coffin, from Paris, had been sitting in one of the two tents. The Governor had also brought close by the hearse he had built, all draped in black, with a canopy supported by four columns, surmounted by plumes of crepe; four horses caparisoned in mourning would be harnessed to it. On the 14th in the morning, every avenue leading to the valley was guarded by English detachments. The proclamation of the Governor, displayed in the city, had produced a profound sensation. As ten o’clock at night struck from the clock of the frigate, two boats landed on the shore MM. de Chabot, Bertrand, Gourgaud, Las-Cases, the four servants of the Emperor, the three commanding captains, the doctor Guillard, the abbot Coquereau, the two cabin choirboys, Dufour and Légiré, and M. Roux , plumber. At half past ten they got into the prepared carriage. Soon they left James Town on a cold brisk ride, accompanied by rain and fog. The moon rose melancholy, sometimes veiled by clouds, sometimes soaring silently over their bluish crest: nature seemed to join the French in religious mourning. Arriving on the hill, they saw at the bottom of the valley a flickering light; it was that the lanterns used for illuminating the workers. From time to time we passed the English posts established since sunrise: we approached the scene that only would be left after consummating the exhumation. Nothing had yet been done; they had awaited the arrival of the representatives of France. At midnight, they stopped at the gate of the tomb. It was close to the place where Napoleon rested. The commissioners of both governments introduced into the chamber the people who had to witness the solemn act which was accomplished. We said who the representatives of France were. On the British side, it was Captain Alexander, the Deputy Governor of the island, the Chief Justice W. Wilde, the lieutenant of artillery Trelawney, Colonel Hopson, the lieutenant-colonel of militia, Colonial Secretary W. -H. Seale, C. M. Littcehale, Lieutenant of the Royal Navy, commanding the brig Dolphin, Mr. Darling, who had presided at the burial of the Emperor, and the plumber who had welded the coffin. At a quarter past midnight, work began. Previously it had been found that the monument was intact. Workers belonging to the 91st Regiment of Infantry first carefully tore the borders of geraniums and other flowers; that the Prince had requested for distribution among the sailors of the expedition; then under the power of levers, a part of the iron gate was pried open: the heavy hinges clutching the stones, on which it was sealed, yielded to the action of jacks, and pickaxes, breaking the mortar to a large extent. The deep silence that reigned in the chamber was only broken by the voice of Captain Alexander, who briefly gave his orders; rain clouds on the horizon, went down into the valley, and a light rain began to fall. The pale faces of the workers and watchful spectators could be seen by the light of the lanterns among the cypresses and willows coming and going like shadows. You could hear the repeated blows of hammers that struck the iron railing, and from time to time see the sentinels who met on the hills nearby. The iron gate removed, M. Chabot took a position outside the tomb. The three black slabs that covered it were removed, starting with the feet, then detaching the one that protected the head, and ending with the middle one. The three slabs removed, mold presented itself to the eyes, separated from the ground by a blank space of about a foot and a half and with a large crack, a huge collapse, which caused concern that the coffin had been crushed. This earth seemed wet. It was then half past one. Work went on in silence: the activity was extreme. They reached a hard spot, we thought to be the stone that covered the coffin; but the extract from the report of Hudson-Lowe about the burial acknowledged a rectangular wall forming, as we found out later, the four sides of the vault. There was mold to a great depth. After removing the earth that formed on the ground a mound of nearly six feet, we encountered fragments of slabs joined by iron clamps, and chunks of basalt associated with Roman cement. The chisel bit into this grained cement with difficulty; it chipped on the basalt without penetrating; under the hammer it sparked. This slow and painful operation lasted four hours; the rain intensified, the wind rushing forcefully over the ravine with its voice and its complaints, and the day that struggled against the fog began to allow the distinguishing of objects. The Father Coquereau went to the source of water that was blessed for the ceremony. Secluded in one of two tents, he prepared the great religious duty he was commissioned to perform. The strength of the workers was exhausted. The extreme difficulty of the operation led Captain Alexander to decide at half past five to try a trench on the left side of the vault to bring down the corresponding wall, and then reach the coffin, where the top layer continued to oppose with same resistance. But about eight o’clock, the masonry weakened, and shaking, gave way and revealed the wide slab sent from England, which covered the vault to its full extent. Through a slot, we saw the coffin, one and all uncovered their heads. Captain Alexander, moved by a religious feeling that everyone will appreciate, covered the stones; he ordered at the same time they cease to dig the side ditch, which had already reached a considerable depth. A crane had been drawn up for the slab. French and English went to dress in their full uniforms. At nine o’clock a guard of militiamen and British soldiers gathered around the monument. The rain fell violently. They finished removing the cement that held the large slab, and adjusted the cleats. Father Coquereau, wearing the robe, the cape and stole, stood on the side where the head laid; near him, the choirboy Légiré carried the cross; behind him, the English witnesses; on the side of the chaplain, the witnesses of France. At a sign of Captain Alexander’s hand, the workers seized the ropes, and then raised the mounting slab slowly upright; filed on balance, it allowed the coffin to be seen: it was half past nine. Everyone was uncovered. The general presence was broken only by the sound of prayers; Protestant, Catholic, all prayed to God with the same fervor. There was only a single belief: the belief in the genius. Father Coquereau sprinkled holy water and recited the De Profundis. The commissioners went down into the cellar where the mahogany coffin was placed at a depth of ten feet on a large slab base itself on a cube of stone. Its length was about six feet by three wide. The wood was damp, but well kept; the lower shelf, once lined with velvet, alone had started to deteriorate, some silver nails fixing it to walls were still bright. On the sides, you could see the straps and ropes that were used to lower the coffin. The doctor Guillard purified the grave by sprinkling chloride, and a messenger was sent to the Governor informing him of the progress of the operation. Soon, with strong ropes, the coffin was raised, leaving the bed where it had rested for twenty years. The chaplain said the lifting body rites according to the Catholic Church. At ten-twenty the remains of the Emperor Napoleon were in the midst of the French. Captain Alexander ordered twelve men of the 91st without rain cloaks and with uncovered head to carry it into a tent nearby. The Abbot and the altar boys went before reciting their prayers. Behind, in pouring rain, the French and English procession slowly advanced. After some health measures, taken again by Doctor Gaillard, they began opening the coffins. The first, of mahogany, enveloping all the others, was sawed off by both sides to slide out the lead coffin that it contained, and which was placed at a quarter past noon in the ebony sarcophagus that had been brought from France. The governor of the island, though very ill, came at twelve forty-five, surrounded by his staff. Everyone waited anxiously in silence. We cut and carefully lifted the upper part of the lead coffin, where they found a third of mahogany, so well preserved that one could loosen the nails. The cover of it having been removed, we saw a fourth of tin slightly oxidized. It was in the last that Napoleon was. The emotion of the assistants was at its height. The weld was cut slowly, the lid, ajar by the chisel, yielded. First, one could distinguish a white cloth that covered the coffin and prevented distinguishing the body; it was the quilted satin which, following the custom of India, formed a lining in the interior of the casket. It had separated and enveloped the body like a shroud. The doctor lifted it by one end and rolling it upon itself from the feet towards the head; he left the body uncovered. It would be impossible to describe the emotion of all who attended the funeral scene. Several convulsively sobbed, and tears dimmed every eye. Something white, detached from the fittings, covered, like light gauze, all that the coffin contained. The skull and forehead which strongly adhered to the silk were coated; we saw little on the bottom of the face, on the hands, on the toes. The body still had a repose that one had given him on placing him in the coffin; the upper limbs were alongside the body; the forearm and left hand rested on the thigh, the legs were slightly flexed. The head was raised by a cushion; the skull was large; the forehead high and broad; the eyes had lost none of their size and shape. The eyelids were completely closed; there seemed a few lashes still. The bones and skin of the nose were well preserved, the bottom only had suffered. The cheeks appeared puffy: they felt gentle, soft to the touch; their color white. 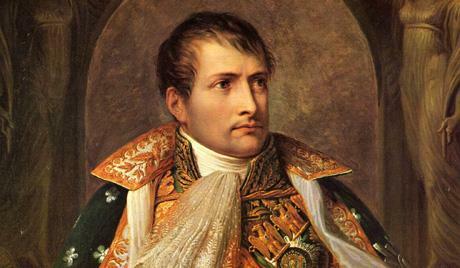 The beard, which had grown since death, colored the chin with a bluish tint; the chin was not altered, still retaining this face typical of Napoleon. The thinned lips, were parted, three very white canines showed themselves under the upper lip, which was somewhat parted to left. The hands, though beautiful, seemed to belong to a man still alive; they were so bright in tone and color. The fingers had long nails, adhering with an extreme whiteness. The legs were still enclosed in the boot, but due to the rupture of thread, four toes on each side pushed through. Their skin was a dull white; they were covered with nails. The clothes stood out by their color: one recognized very well the uniform of Horse Chasseurs of the Old Guard with its dark green coat and bright red facings; the Grand Cordon of the Legion of Honor showed on the vest. The white pantaloons were partly concealed by the little hat that rested on the thighs. The epaulettes, the plaque and the two attached decorations on his chest had lost their luster: they were black. The two silver vases which contained the heart and stomach appeared between his legs; one was topped by an eagle that showed between the legs. This examination, which lasted only two minutes, noted a more perfect state of conservation than was expected based on known circumstances following the autopsy and burial. The doctor said that, fearing for these precious remains coming in contact with atmospheric air, he felt it necessary to seal them up as quickly as possible. This necessary determination created an unspeakable heartache in all the spectators. The tears flowed more abundantly. Finally padded satin was put in his place, having been lightly coated with creosote; the wooden boxes tightly closed, the metal cases were welded with the utmost care, except that of tin which the workers could not close, because of its state of oxidation. A second of lead, separated from the preceding by sawdust and wooden wedges. A coffin made of ebony. One of oak protecting all the others. These last three were brought from France. At three o’clock everything was finished. Subsequently General Churchill arrived with his aides-de-camp, in deep mourning. The rain was still falling. The coffin, which weighed 2,400 pounds, was transported with great difficulty on the hearse by forty-three artillerymen, who surrounded it throughout the journey. The tricolor flags that were used in the ceremony and the imperial flag that were already on board the Belle- Poule had been offered for the old ones by the young ladies of the island, which had made them with their own hands. The white and blue were in silk and red was in a Chinese crepe. The English girls were stripped of their most beautiful shawls, their finest materials, to accomplish this national act of reparation. The officers of H. M. of Britain, partnering with the work, had made the stripes from their uniforms, which, under the nimble fingers of their compatriots, had metamorphosed into imperial figures. By receiving this precious gift from the hands of Miss Gideon, the most graceful of these blonde English girls, the Prince had promised, at the Hotel des Invalides, that the imperial flag, donated by the ladies of Saint-Helena, would shade the coffin of heroes: he has kept his word: at each move its first step is that the flag did not quit for a moment the sarcophagus. Upon his return to Paris he was quick to send a flattering letter to Miss Gideon with a gold bracelet adorned with pearls, rubies and a beautiful emerald. When the funeral pall with bees crowned with eagles in gold on purple velvet, its large cross of silver and ermine border, had been deployed and fell on the carriage it was covered entirely in its rich draperies, eight foot valets in deep mourning stood at the head of the horses. The troops waited for the funeral lining the way. It started off in the following order: 220 militiamen of Saint-Helena, under the command of Lieutenant-Colonel Seale; 140 soldiers of the 91st Regiment, commanded by Captain Blackwell; the musicians of the militia; Abbot Coquereau, preceded by the two cabin choirboys, Lérigé bearing the cross and Dufour the holy water; the four-wheeled chariot was drawn by four horses caparisoned in black cloth. On this uneven ground it would have been dangerous to have more. The tassels were kept by MM. Bertrand, Las-Cases and Marchand; followed by the faithful servants: Saint-Denis, Noverraz, Pierron and Archambault. Along the march the artillerymen, were responsible for keeping it on the steep slopes. M. de Chabot led the mourning on his side with the captains Guyet and Charner; then M. Arthur Bertrand, Captain Doret, Doctor Guillard and civil authorities, military and maritime of the island, which had wanted the French ranked first in the sad solemnity. Behind came the principle inhabitants in mourning. The procession was closed by a company of artillery and a detachment of militia, which was followed by a large population. Arriving at James Town, the funeral procession marched slowly between two rows of militiamen. The sky had cleared, it stopped raining; the shops were closed; the windows and balconies, covered with people; the crowd thronged the streets. The forts and the ships were firing the cannon every minute from the start; the flags were flying at half-mast. Further on the border of militiamen succeeded by a line of soldiers, extended up to the embarkation pier. There the Prince was waiting under the tricolor for the remains of the hero. He had just landed with the staffs of the Belle-Poule, La Favorite and the Orestes. On approaching the carriage they uncovered; the men manning the long boats muffled their oars; far off the three French warships, hoisted their colors, as did all French and foreign ships, as their yardarms that were en pantenne for eight days; and from the musicians of the Belle-Poule was heard funeral marches. The boat, in which the coffin had been placed, bent under the weight. The coffin was finally leaving the land of exile. All the French had re-embarked. The flag of the ladies of Saint-Helena was raised. The frigate, corvette and brig greeted it with a triple salvo of artillery. The land answered with twenty-one guns; the two long boats of La Favorite preceded the boat, two boats of the Belle-Poule escorted; two boats from the Orestes followed. All the men were bareheaded, crepe on their arm. On October 15, 1815, a captive Napoleon had anchored at Saint- Helena to begin his long agony. On October 15, 1840, his remains were returned again from a foreign land on behalf of France. When the boat had approached the frigate, all signs of mourning had disappeared: it was to the sound of volleys of the decked vessels with crews on the yardarms, that the dead Emperor was received on board. Sixty men were under arms; the three staffs lined the way. When the coffin passed, the drums beat loudly, the music sounded national airs of France. On the forecastle, a chapel, decorated with military trophies, had been prepared. The coffin was laid down at half past six. It was almost dark. By their torches arranged around the catafalque an absolution was recited and the body remained exposed. Four sentries were placed at the four corners. During the night of October 15 to 16, the officer of the watch remained by the body with the chaplain. At ten o’clock in the morning the funeral service was to begin; the altar had been erected on the site of the steering wheel, leaning on the mizzen mast; it was shaded with tricolor flags and dominated by a trophy of arms on the right, and on the left, two fasces of fusils, topped by a crown of oak; in front, two howitzers; between the altar and the capstan, a black cloth trimmed with silver, on which rested the coffin draped with the imperial mantle and diadem veiled with crape. Incense burned in suspended cressets. Thirty men were under arms starboard and thirty to port. The companions of exile having taken their place; then came the faithful servants and four more former officers of the division; then the Prince, M. Chabot, the consular officer of France, the officers of the Royal Navy and the two captains of merchant ships the Bien-Aimée, of Bordeaux, and the Indien, of Havre, and their passengers, and finally all the sailors. Not a foreigner was there. It was a national celebration. Throughout the duration of the divine office, the corvette and brig, which since eight o’clock in the morning had their flag at half-mast and rigging en pantene, alternated firing a cannon from minute to minute. The Mass ended, the abbot Coquereau, who left his chasuble, took the stole and the cope and began the prayers of the absolution; then the body was lowered into the burial vault prepared in the lower deck. The imperial flag still with its ribbon of crepe floated on the mainmast. Saturday the 17th, there was to be sanctification and a last pilgrimage to the valley of Napoleon. Despite strict orders, it was almost completely devastated. Everyone, even the most humble sailor, had his share of relics. At nine o’clock in the morning, the large slab of white stone was brought on board, which immediately closed the coffin and the three tiles that had covered the grave. The following 18th early, the Prince gave orders to sail. We made good progress. At sunset, we scarcely could distinguish Saint-Helena. It was 22 miles away. Napoleon had left St. Helena twenty-five years to the day after he landed in this land of exile. Initially, the weather, which began with a storm, made us fear a painful and upsetting journey; but this was short lived and the Belle-Poule found the sea breeze calmed, and at night the moon rose brilliantly, as if to illuminate with its glow its grief of the funeral march to the landing of Courbevoie, where Napoleon finally touched the shores of the Seine December 14, 1840. The next day, the 13th, which was chosen by the government to accomplish the grand ceremony of removing the ashes of the Emperor to the Invalides, will now have its place in our national annals and remain in human memory as one of the most memorable our history. That day, in a beautiful winter sun, a hearse, which summarized the whole ceremony, with its colossal statues of Victory supporting a huge shield, its fasces of weapons, its purple draperies, his bees, its eagles, its lightning bolts, its palms of laurels, its imperial figures, its four-wheeled ancient chariot and its team of sixteen horses with floating white feathers and trappings of gold, led by two pickets on horseback, and by sixteen on foot in the imperial livery, appeared on the Bridge of Courbevoie; the National Guard and troops of the line formed the hedge to the Hotel des Invalides. The Arc de Triomphe de l’Étoile, was an allegory representing the apotheosis of him who laid the first stone. A body of funeral musicians, The warhorse of Napoleon, wearing the harness he used when he was first Consul. The general officers of land and sea, 24 non-commissioned officers of all the corps of cavalry, The Commission of Saint-Helena, 34 decorated non-commissioned officers of the infantry, The 86 non-commissioned officers carrying the banners of the 86 the departments, The Prince de Joinville and his staff, The sailors of the Belle-Poule and La Favorite, around the hearse, Two marshals, an admiral and Lieutenant-General Bertrand, bearing the Imperial pall, The former officers of the military and civilian households of the Emperor, The two prefects of the Seine and the municipal authorities, The former military police with their old uniforms, The deputation of Ajaccio, birthplace of Napoleon, The retired officers, etc., etc.. The Avenue des Champs-Élysées formed a majestic route of banners, trophies, statues; the Place and the Bridge of the Concorde were decorated with eight allegorical statues and four triumphal columns; a colossal statue of Immortality was erected on the steps of the Chamber of Deputies; the Quai d’Orsay and the Esplanade des Invalides were decorated with thirty-two statues of kings and warriors, and among the statues, tripods with streaming flames. Everything was pompous, magnificent and admirable. Everyone had abandoned staying at home and their businesses to run to sit on the route of the procession: the city and the entire suburb was on the Avenue des Champs-Elysees and the Esplanade des Invalides. At half past one the hearse approached the Pont de la Concorde. At two o’clock it stopped at the gate of the Home of the Invalides, decorated with a black curtain decorated with silver and gold, supported by two triumphal columns and numerous bundles of spears. The entrance court had become an avenue through rich candelabra. The courtyard had been transformed into a magnificent armory of the most warlike effect. The church by its rich tapestry of funeral mourning was worthy of he who was Emperor of the French. —Sire, said the young Prince, I commend to you the body of the Emperor Napoleon. —General, he said, I charge you to place the glorious sword of the Emperor on his coffin. 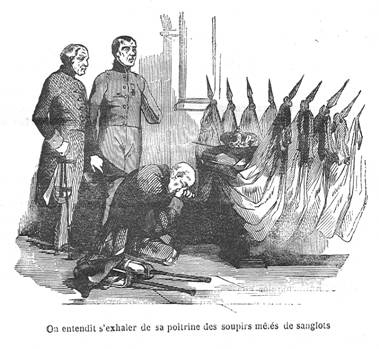 The evening of the late apotheosis, when the crowd was sadly removed from the sacred enclosure, where the murmur of the thousand voices were erased, and the solitude was complete and the silence profound, an almost century-old disabled soldier, blind, and barely walking with the aid of two wooden legs, entered with reverence into the chapel where the body of Napoleon was in the midst of a sea of lights. Arriving with great difficulty to the foot of the Imperial burial scaffold, he wanted to be rid of his two wooden legs, the better to kneel and then prostrate himself; then his bald head touching the stairs, one heard from his chest sighs mingled with tears, and words of God … Emperor … father, out of his mouth inarticulate stammering. Finally, when torn from his poignant pain by two comrades, the martyr of battles crossed the chapel to go back, one noticed that the senior officers of the home had uncovered respectfully as he passed. Because the one who had to make this last tribute to the mortal remains of Napoleon, was the first invalid that had been decorated by his hands, while France had first welcomed the noble title of Emperor. The ceremony ended at the Invalides. Pious pilgrimages were accomplished, over ten days, at this church; across the avenue lined with statues and trophies that the procession had followed; where the squadron and the ship catafalque floated; at the Arc de l’Étoile, under which the imperial chariot was deposited; and at the landing of Courbevoie. Despite the inclemency of the season, the crowd was so large in the vicinity of the Invalides, that despite the vigilance of the troops, serious disorders and unfortunate accidents had occurred. But after arriving in the sanctuary, the crowd flowed calmly and thoughtfully, with approximately 100,000 people admitted daily. It brought the total number of visitors to more than one million. “As I had the honor to announce, M. Minister, I left September 14th for the Bay-of-All-Saints; I had continued along the Brazilian coast with winds coming from the north-east and north, that allowed me to quickly reach the meridian of Saint-Helena, though I had to go beyond the parallel of 28 degrees south. Arriving on this meridian calm and contrary wind had caused me some delay, but October 8, I anchored in the harbor of Jamestown. The brig The Orestes, seconded by M. Vice Admiral Mackau, that provided the Belle-Poule a pilot for the Channel, arrived yesterday. This boat brought me no new direction; I immediately busied myself executing the orders that I had previously received. My first thought was to put M. Chabot, Commissioner of the King, in contact with General Middlemore, Governor of the island. These gentlemen had to settle according to their respective instructions, how the remains of the Emperor should be exhumed, and their movement aboard Belle-Poule. The project implementation was issued on a schedule for 15 October. The Governor would be responsible for the exhumation and all that was to take place on the British territory. For me, I was to pay the honors to be rendered, on the days of 15 and 16 by the division under my command. The French merchant ships la Bonne Aimée, Captain Gallet, and l’Indien, Captain Truquetil, joined us with alacrity. On the 15th, at midnight, the operation was started by the French and English Commissioners, M. Chabot and Captain Alexander R. E., the latter directing the work. M. Chabot is to make the government a detailed account of operations he had witnessed, but I cannot avoid covering the same details. I limit myself to tell you that it took until ten o’clock for the coffin to be discovered in the pit. After having removed it intact, we proceeded to open it, and the body was found in an unexpected state of preservation. In this solemn moment at the sight of such recognizable remains of one who did so much for the glories of France, the emotion was profound and unanimous. At half past three, the cannon of the forts in the harbor announced that the funeral procession was marching towards the town of Jamestown. The troops of the militia and the garrison preceded the wagon, covered with the pall whose corners were held by the generals Bertrand and Gourgaud, and MM. Las-Cases and Marchand. Authorities and residents followed in droves. On the road, the guns of the frigate responded to the forts’, and sounded from minute to minute. Since morning, the yard arms were en pantenne2, flags at half-mast, and all French and foreign vessels were shown in mourning. When the train appeared on the platform, the British troops lined the way, and the carriage moved slowly toward the beach. At the seaside, where the British lines stopped, I had gathered around me officers of the French division. All in great grief and heads uncovered, as we awaited the approach of the coffin. Twenty paces from us it stopped, and the Governor General, advancing towards me, gave me, on behalf of his government, the remains of the Emperor Napoleon. As soon as the coffin was lowered into the long boat of the frigate, ready to receive him, again the emotion was serious and deep; the wish of the dying Emperor began to be fulfilled: his ashes rested on the National flag. Any sign of mourning was abandoned at this point; the same honors that the Emperor would have received in his lifetime were given to his mortal remains; and in the midst of salvos from decked vessels, with crews hanging from on the yardarms, this long boat, escorted by long boats of all the ships, slowly made its way to the frigate. Arrived on board, the coffin was received between two rows of officers under arms, and carried onto the quarterdeck, prepared as a mortuary chapel. As you’ve prescribed to me; a guard of sixty men commanded by the oldest lieutenant of the frigate, made honors. Although it was already late, absolution was recited and the body remained exposed all night. The chaplain and an officer watched it closely. On the 16th at ten o’clock in the morning, with the officers and crews of the French commerce and warships together on board the frigate, a solemn funeral service was celebrated. We then lowered the body below deck, where a chapel had been prepared to receive it. Initially, the weather, which began with a storm, made us fear a painful and upsetting journey; but this was short lived and the Belle-Poule found the sea breeze calmed, and at night the moon rose brilliantly, as if to lighten with its glow its grief of the funeral march to the landing of Courbevoie, where Napoleon finally touched the shores of the Seine December 14, 1840. The next day the 13th, which was chosen by the government to accomplish the grand ceremony of moving the ashes of the Emperor to the Invalides, will now have its place in our national annals and remain in human memory as one of the most memorable in our history. That day, in beautiful winter sunlight, a funeral carriage, laden with wreaths of immortality, preceded by the banners of France and the living remains of forty armies slowly passed under the Arch of Triumph of the Star! The sarcophagus, surrounded by so much military pomp, and received the cheers of an enthusiastic populace who remembered that the sun once obeyed the fortune of Napoleon; the sarcophagus, we say, contained the remains of the man who in the space of fifteen years, had only been matched in by Alexander, Caesar, Charlemagne and Louis XIV. 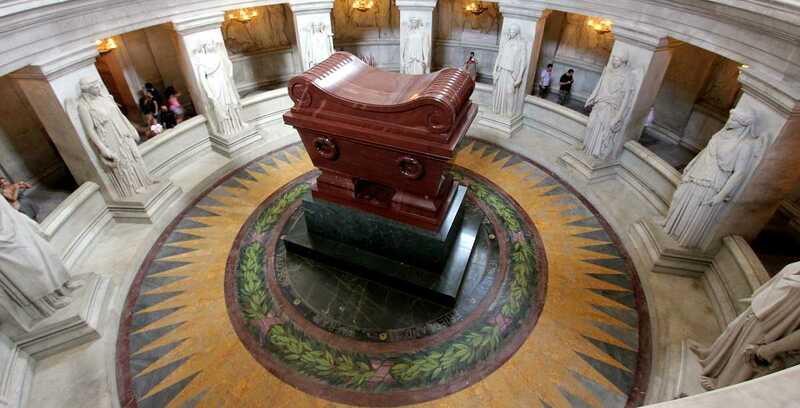 Napoleon dead, was laid under the dome of the Invalides, the place during his lifetime, he had marked for heroes. One places the yardarms “en pantenne” as a sign of mourning. Placed on the Napoleon Series: Napoleon Himself: Epilogue, January 2010, http://www.napoleon-series.org/research/napoleon/PopularHistory/c_Epilogue.html.